Credit or loan is the best form of financial tool to improve an individual’s financial situation. This loan helps a person to pay for goods and services that cost him more than he can afford. This means one falls in the trap of loans or credit when they enjoy something that is beyond his financial affordability. Though it’s not always true that human’s greed lures towards the trap of loans. There are some needs indeed like Housing loan, education loan and alike. In this article, I will discuss 15 types of loans in India, what are the various types of loan in India, types of loan from Bank. 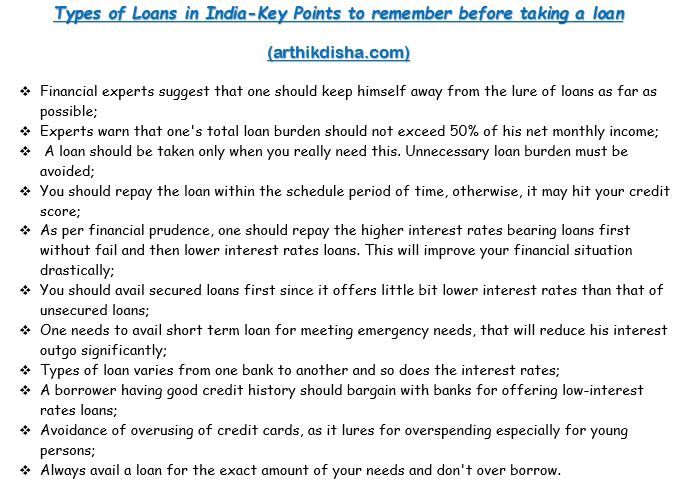 Before, going into details on 15 types of loans, first, you must know some key points on availing loans. Experts warn that one’s total loan burden should not exceed 50% of his monthly net income. Always avail a loan for the exact amount of your needs and don’t over borrow. A loan is meant for meeting your specific needs. However, it should not be construed as the only means to do away with other debts. 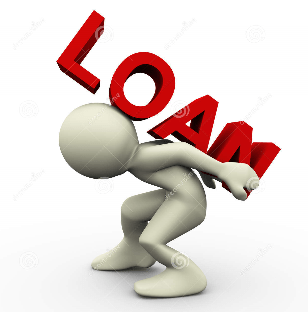 There are different types of loans available in India. One should look into the following options before taking any decisions. A credit card loan is the most common form of loans used by individuals to meet their specific needs. Credit cards are issued by the banks or other merchant retail stores. This card issuer sometimes offers various lines of credit to the customer they consider as good. 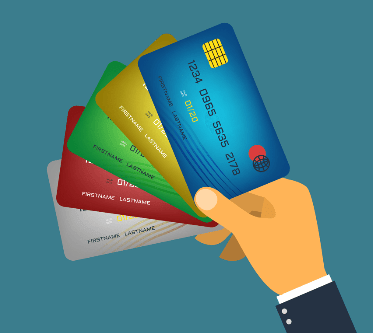 Lines of credit means the maximum amount the cardholder can owe at any given point of time. This credit card loan is offered by the card issuers based on the customers’ previous credit history and financial status. How much can you avail? It depends upon the credit card limit and your income level. Generally, 36% to 42% per annum interest is charged by the credit card issuers. On defaulting to pay within due time, they also charge some penalties as well. Penalty charges are levied on failure to repay within schedule time. Bank overdraft is another form of short term loan given by banks. Under this option, a person is allowed to borrow up to a certain predetermined amount or limit set in his current account by the bank. This amount is to be repaid on demand. Generally, a bank overdraft facility is taken for a few days only. This type of loan is popularly known as swinging account due to its nature. Businessmen do prefer this sort of short term financing most as this helps them meet their short term needs. It depends upon the current account limit set in your current account. Generally, 12.50% to 18% per annum interest is charged by the banks. May have to incur high interest if the overdraft is continued for a longer period which may lead to permanent interest burden on you. For the middle and lower middle-class people, this home loan acts as an integral part of their lives. 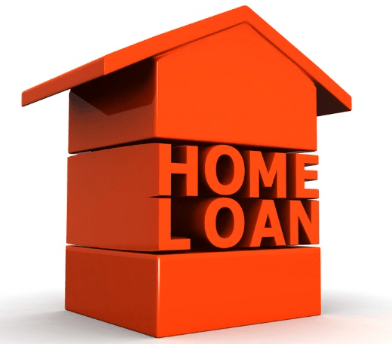 Home loan is given by banks to buy a home or housing property. This loan is very popular amongst the Indians due to its low-interest costs and tax benefits. Banks offer home loans in two variants like Fixed interest and Variable interest. It’s always preferable to opt for variable interest rate loan as it is cheaper in the longer period. Though this loan is quite cheaper, it is not advisable to over-borrow. Sometimes, your total interest repayment during the entire loan period may be more than your actual loan amount. Also, it is advisable to borrow home loan for shorter tenure as far as possible depending on your financial ability to repay a bigger monthly amount. 85% to 90% of your property value. You have to pay the balance amount as down payment. Generally, 8.50% to 11% per annum interest is charged on home loans. If your income level is high you can avail a bigger amount. Longer repayment tenure cost you more and more interest outgo. If you want to pursue higher education either in India or abroad and you need money for this, you can ask a bank for a higher education loan or student loans. Some banks provide education loans for vocational courses as well. This is also important to know that some banks offer discounts or lower interest rate loans for female student or borrower on education loans. For study in India– Generally, banks allow education loan for a maximum of ₹ 10 Lakh only. For this case, your own contribution or margin money will be 5% of the total cost. For study abroad- Usually, banks offer ₹ 20 to ₹ 30 Lakh with minimum 15% margin of the total cost i.e. for your own contribution. For Indian high stature courses– For high standard Indian courses like IITs, IIMs studies banks generally offer education loan up to ₹ 30 Lakh with minimum 5% margin of the total cost i.e. for your own contribution. The interest rates on education loan vary from bank to bank. Normally banks charge interest rates between 8.60% to 13.45% per annum on home loans. This rates also differ fro studies in India and abroad. You can avail tax benefits for repayment of interest on education loans u/s 80E. This deduction is over and above the overall limit of ₹1.50 Lakh u/s 80C. However, there is no benefit on the repayment of the principal amount. This tax deduction for interest outgo can be claimed for a period of up to 8 years from the year in which repayment starts or full repayment which one is earlier. No tax benefits on repayment of principal amount. If you want to buy a car you can opt for a car loan. Depending upon your income level, vehicle loan is easily available in India. However, banks generally disburse 85% to 90% of the car value. The remaining amount you need to provide as a downpayment. 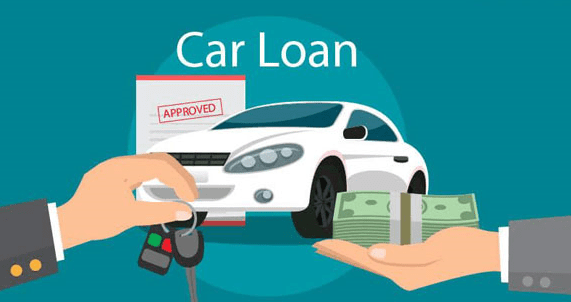 A car loan is available in India with interest rates ranging between 8.5% to 11.85%. There is no tax benefit for repayment of this vehicle loan. Until the full loan amount is repaid, the vehicle remains hypothecated to the loan disbursing bank. This is the most common types of loans availed by the Indian people to meet their short to medium terms monetary needs. Personal loans are disbursed generally by banks and nonbanking financial institutions(N.B.F.C) as well. A personal loan is very easily available due to its lesser documents needs. This loan is very much popular in India as it does not require any collateral security from the borrower. Youngsters and middle-class people get lured by this easily accessible loan. A personal loan is offered by banks or other financial institutions based on a borrower’s credit score or previous good credit history. 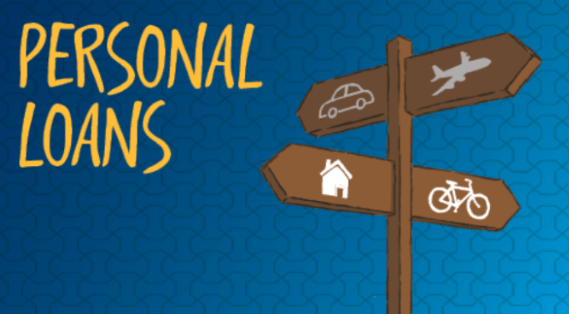 A personal loan is available in India with interest rates ranging between 14% to 22% depending upon your income level and the job profile There is no tax benefit for repayment of this loan. If you need some money urgently, you can opt for a gold loan, by submitting your physical golds to the bank. The processing time for disbursing this loan is very nominal. 75% of your Gold value. 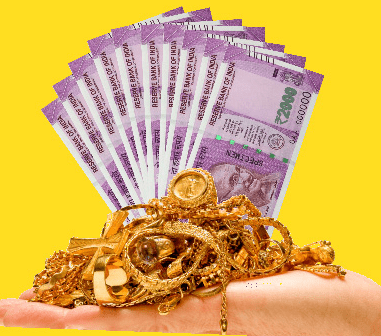 A Gold loan is available in India with interest rates ranging between 12% to14 % depending upon your value of gold ornaments. A consumer loan or consumer durable loan is offered by the banks or other financial institutions for the purchase of household or luxury items. This loan is a kind of unsecured personal loan. To encourage consumption with easy affordability this loan is being offered. From few thousand rupees to even lakhs depending upon your income profile. This loan is an unsecured personal loan with high-interest rates ranging between 15% to 22 % depending upon your needs. Mudra loan is a form of business loan extended by the Government of India to Small & Medium Enterprises(SME). This Mudra loan has been a great help for the small businesses who were struggling to operate due to lack of capital. Now, with this Mudra loan, one can start his business with ease. This loan is an unsecured loan provided by the Govt. of India. Under this Mudra loan, one can avail a maximum of ₹ 10 Lakh. A mudra loan is available in India with interest rates ranging between 14% to16 %. Due to an unsecured loan, most of the banks are reluctant to offer this loan to businessmen. To run your business you need adequate working capital. When you are short of funds, you can opt for this loan before banks. This is one of the most favored types of loans in India till date for business houses. The working capital loan helps you in meeting the short term fund crunch for day to days functioning of your business. It depends on your business income profile. Banks do check your balance sheets and other financial statements before disbursing this loan. A working capital loan is available with interest rates ranging from 12% to18%. Banks offer this working capital loan at very low repayment tenure. If you have an investment in mutual funds or shares and in need of money, you can avail this loan against mutual funds and shares. Around 60% of your equity investment and 50% of the value of the shares. A loan against mutual fund or shares is available with an interest rate ranging between 12% to16%. A dividend on shares will be paid on full repayment of the loan. Loan from PPF is one of the most conservative ways to borrow money. But withdrawal from PPF has some pre-conditions. Like withdrawal can be made only after 2 years from the end of the year in which initial subscription was made. 25% of the investment that stood to the credit of your account at the end of the second year immediately preceding the year in which the application for the loan was made. A loan against PPF is offered at 2% above the prevailing PPF interest rate during the loan period. If you can not repay the entire loan within 36 months, you have to incur additional interest@ 6% p.a as a penalty. This loan against LIC policy is offered by banks against the LIC policy you own. Banks retain your LIC policy as the colatteral until the full loan is repaid. It depends on the surrender value of the policy. Usually, 85% to 90% of the surrender value is given as loan to the borrower. A loan against LIC policy is offered by banks at a 14% rate of interests. Only eligible LIC policies are entitled to get these types of the loan. If you have an investment in Fixed deposits and you are in urgent need of money, then don’t worry you can avail a loan against this fixed deposit. Your FD is retained by the bank as collateral security for this loan. Usually, 90% of fixed deposit value is given as loan to the borrower. This loan is being offered at 1.5% to 2% higher rates of your fixed deposit’s interest rate. On defaulting to repay the loan, the bank may encash your FD to close the loan. If an individual works in a large organisation, schools, Government Offices, he may have a co-operative credit society in place there. One can borrow money very easily from this co-operative credit society. This depends on the maximum limit set by the credit society itself. A loan from co-operative credit society is available with interest rates 2% lower than the general market rates offered by the banks. I would conclude by saying that you should stay away from taking any sorts of loans as far as possible for you. Taking a loan will act as a hindrance for the creation of adequate wealth for your future. If you like this blog post, just share with your friends and comment in the comment section.